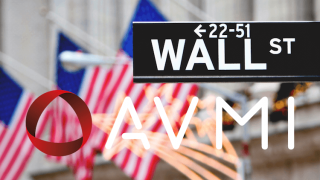 AVMI, an international provider of audiovisual and digital media solutions has been chosen to provide AV, event, and videoconference support services for a major client on Wall Street and is looking for AV and event technicians to join the onsite team to ensure the delivery of world class services at client campuses in New York City. London-headquartered AVMI, which has seen its international business activities grow by more than 500 percent over the last 12 months, opened its first U.S. office in New York earlier this year and has been increasing its regional staff headcount while working closely with local partners in order to meet the increasing demand from its international clients. The company, which has more than 400 employees globally, is looking to fill numerous AV, event, and technical roles to work at the client’s New York City offices. With roles available immediately, AVMI is urging anyone who is interested to get in touch. To view all available opportunities, visit AVMI’s website. Alternatively, please contact Jessica at jessica.flinn@avmi.com to find out more.